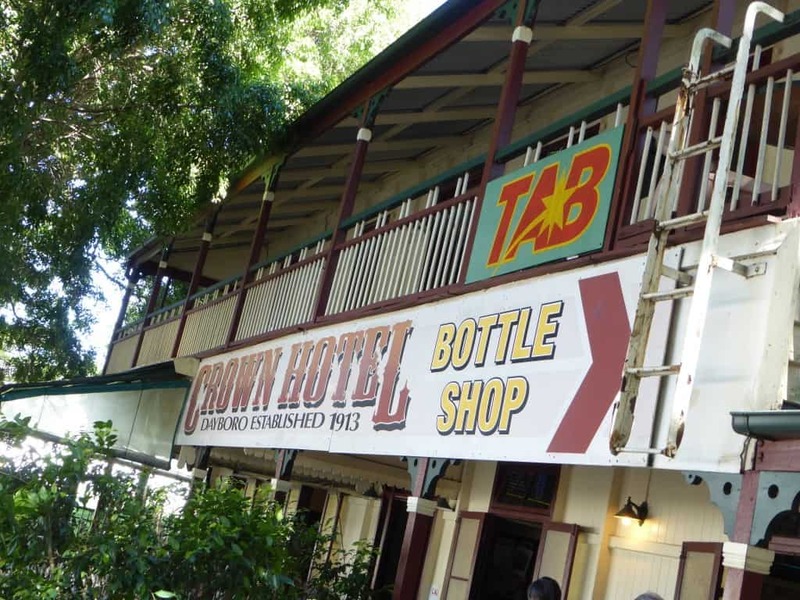 The Dayboro Crown Hotel is as much a landmark as it is a pub! If you’re heading out for a day in Dayboro (and it’s thoroughly recommended!) lunch at the Dayboro Pub is pretty much essential. It’s “pub grub” – there’s nothing fancy here. That doesn’t mean it’s not worth experiencing the mountain view and the quirky “classic Aussie pub” feel! The Crown Hotel has stood on this spot since the 1890s and parts of the original building remain – so it’s an experience right out of the history books. Dayboro’s iconic Crown Hotel may be a must do stop for history lovers, but does it hold much interest for kids? 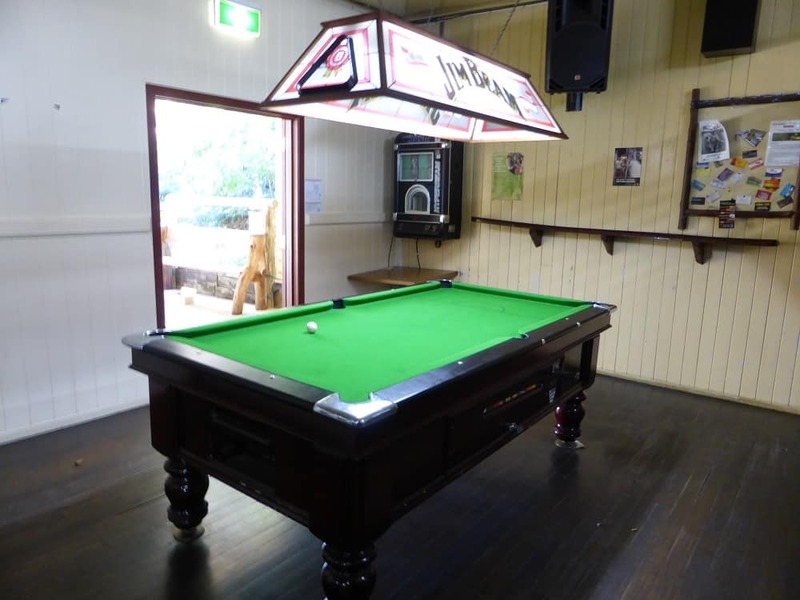 Dayboro Pub isn’t especially well set up for kids. Most of the patrons are (friendly) bikers out for a ride through the stunning local scenery. The pub’s famous Sunday afternoon bands and beers are especially unsuitable for young kids! 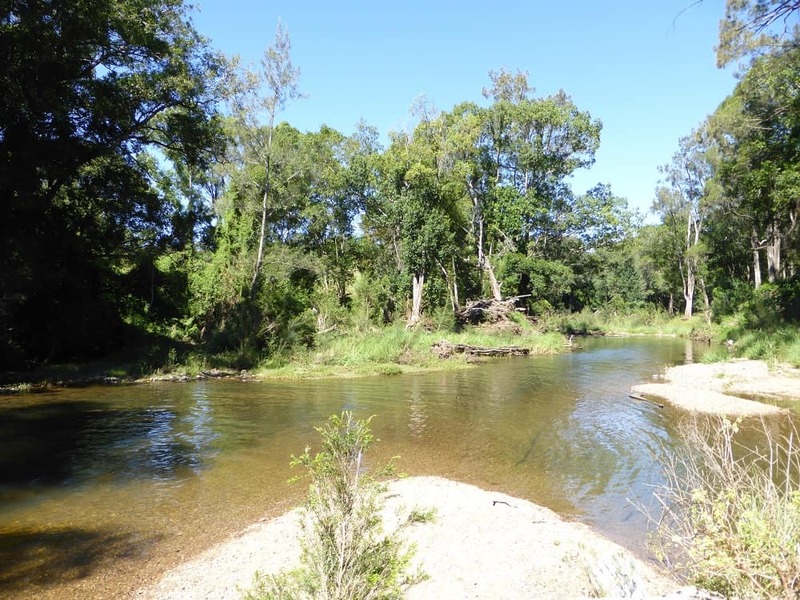 The area however is a wonderful place to take children, with beautiful river crossings and hiking spots – and it’s rate to find this traditional piece of Australia’s heritage on our door step. 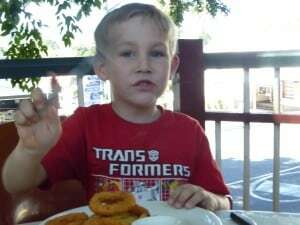 So, for the history lesson alone, it’s worth taking kids for a meal. 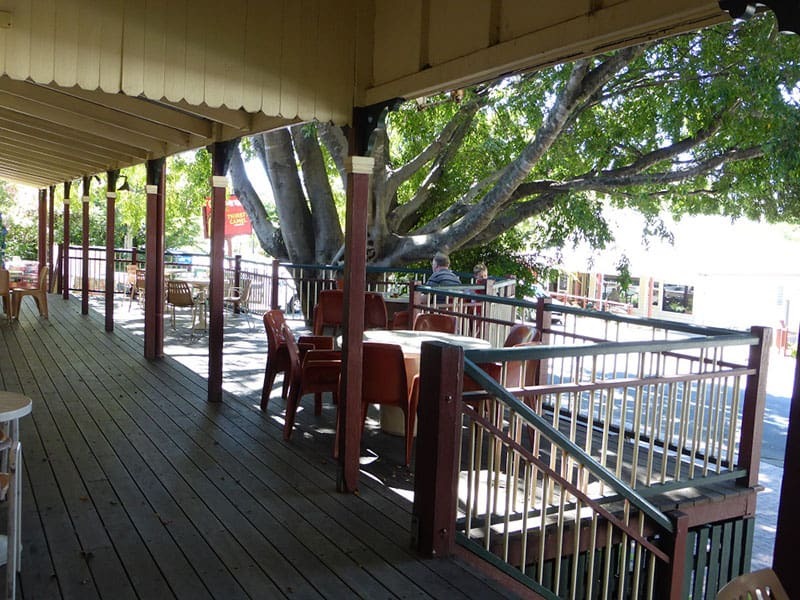 Kids will also love the magnificent Moreton Bay fig trees on the pub’s doorstep. They’re amazing to see, but no climbing is allowed! It’s a short list I’m afraid. After ordering some pretty ordinary and full priced meals, we asked the bar man for a glass of milk – $4 for a small cup of milk…. hmmm. Make a family day of it! Lees Road Crossing – one of the best little “hidden gems” for families ever! The Crown Hotel is located on the top of Dayboro’s main street, surrounded by a quaint little town bursting with antique shops and bits and bobs of interest. 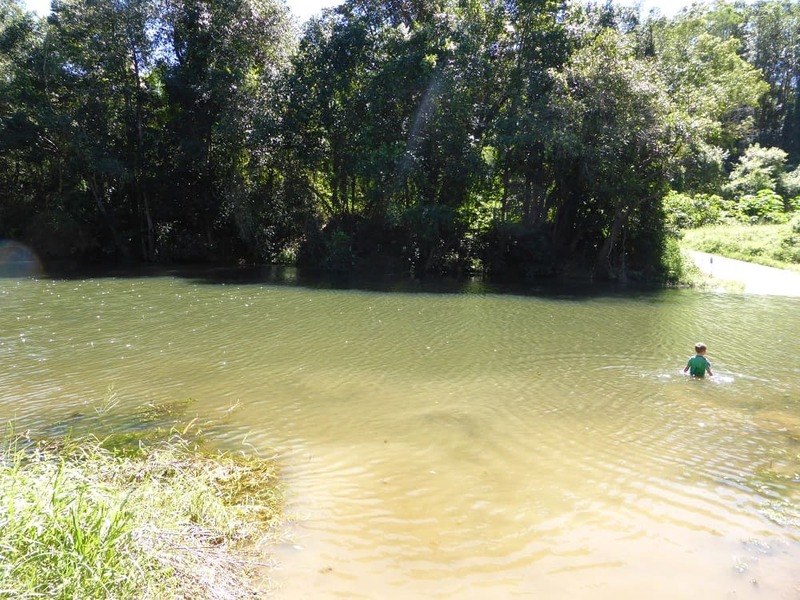 The main roads to Dayboro from greater Brisbane come via Samford. Samford Road via Enoggera is the quickest access from Brisbane’s north west and Mt Nebo road is the best access for southern suburbs. From Brisbane’s north east and Moreton Bay Region, take Gympie Road to Petrie and then cross onto Dayboro Road at the Petrie roundabout. Access to Dayboro Road is also available via Young’s Crossing Road. Oh and don’t forget to keep your eyes peeled for koalas around Kurwongbah! 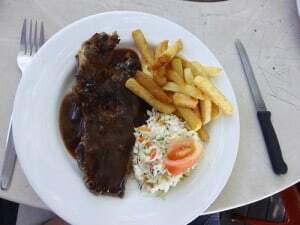 The Crown Hotel might be an iconic Queensland pub but it’s not great for kids and the food’s not wonderful for adults either. It is however THE Dayboro Pub and well worth a visit for “old time’s sake”.